If you know the ladies and gentlemen from PropHouse Birmingham, you know that they don’t do anything half way. 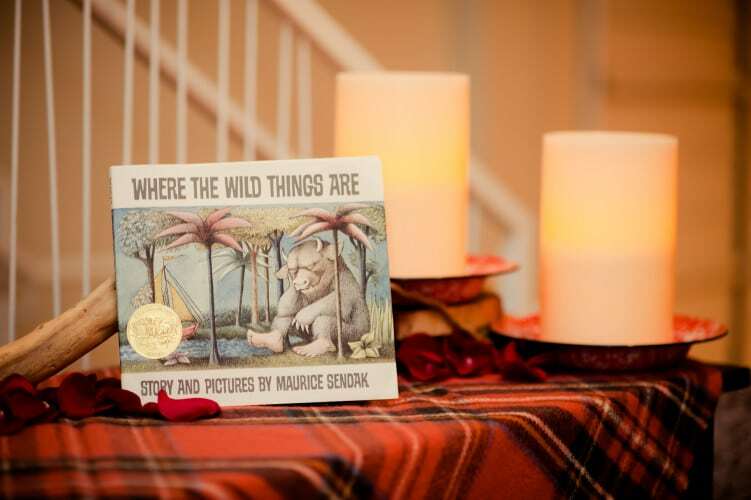 This time they totally outdid themselves with an amazing “Where the Wild Things Are” themed baby shower. It was truly the most incredible baby shower I have ever been to! 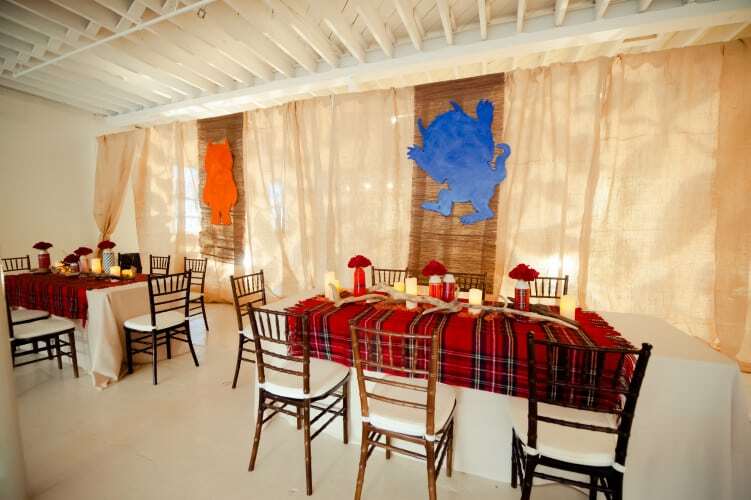 BridgeStreet Gallery and Loft was a great location for the party. 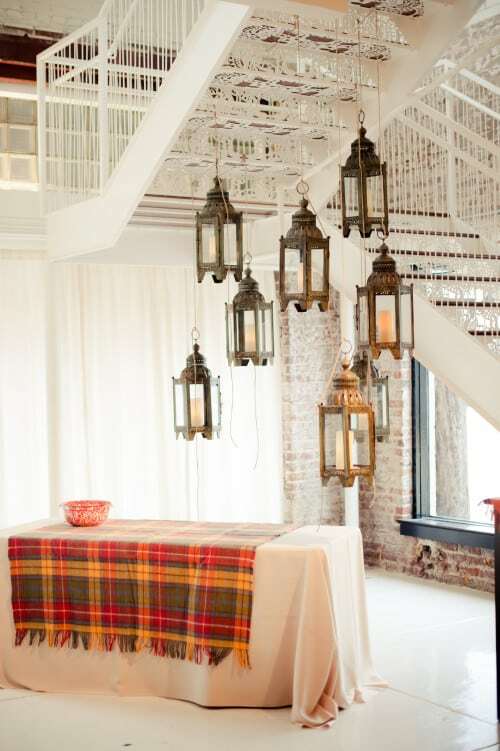 PropHouse used burlap drapes with vine themed lights shining thru the back for this awesome look. Don’t you adore the custom character cut outs they made? 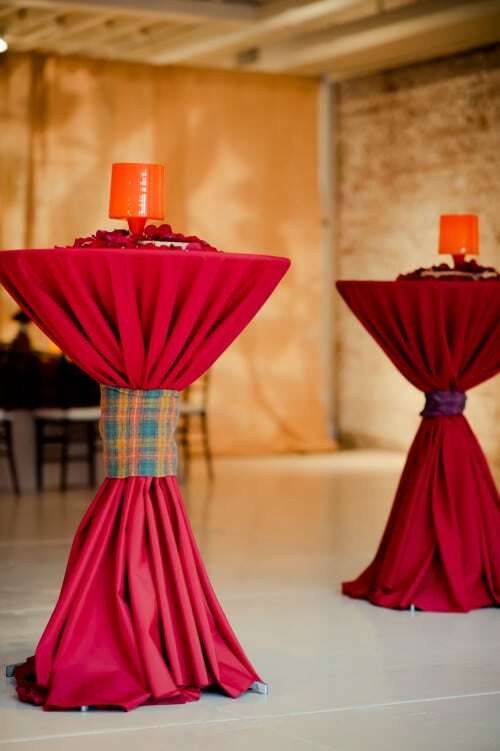 Of course we pitched in with the linens, using beige and red premium polyester for the base and PropHouse brought in these super cute plaid overlays. Holly, from Happy Catering, provided some of their great food! 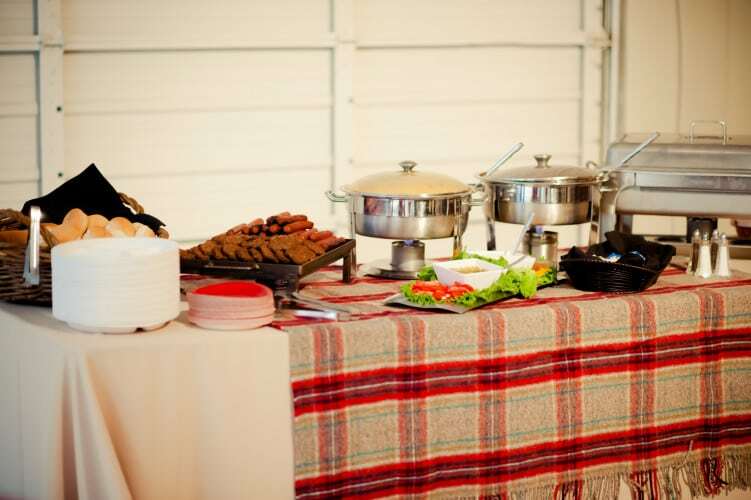 On the menu were mini burgers, hotdogs, creamed corn, baked beans, banana pudding and a hot chocolate bar! It was all delicious, as usual! Homemade marshmallows by PropHouse’s very own Shawn! Allison and Angela really got into the S’mores bar! Aren’t Jackie Robinson of RawwBeauty and Mandy Majerik of PropHouse looking good in their plaid as they enjoyed the S’mores Bar. Decor To Adore, Real Events. permalink.